BDS produces annular cutters at their facility in Monchengladbach, with all the benefits for users worldwide: High manufacturing precision and competence, Use of steelfrom well-known manufacturers and Short-term availability and fast delivery. BDS magnetic core drilling machines and core drilling tools must be considered as a functional unit. Thus, the development of in-house core drill production was expedited right from the beginning in parallel to the production of the machines. This is why the core drills of BDS today are on top worldwide. 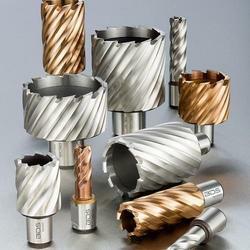 TCT Annular Broach Cutter / TCT Core cutter / BDS Core Cutter. For the processing of stainless steel and non-ferrous metals, BDS recommends the high performance cooling lubricant concentrate BDS 6000. 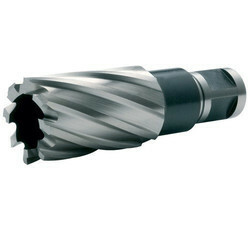 Carbide-tipped annular cutters with carbide coating for longer service life, high heat resistance, and high precision. Cutting lengths available: 30mm, 55 mm and 110 mm. 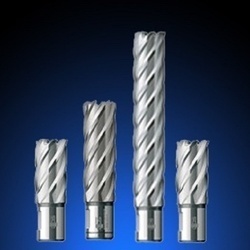 HSS Broach Cutters Standard are fully ground Broach Cutters or also called as Core Drills made of high-speed steel on CNC-controlled grinding centers, with good chip flow, drilling with little effort. The BDS base range. 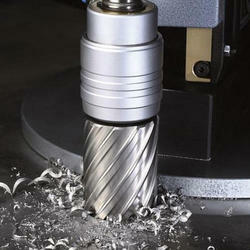 Nitto Kohki has developed the one-touch replacement system for Jetbroach carbide-tipped annular hole cutters. They are designed to be mounted and removed without the use of a tool. 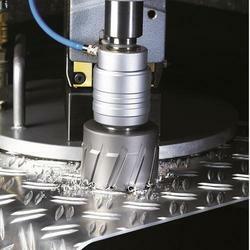 This reduces the time needed to replace cutters. Looking for Broach Cutters & Annular Cutters ?